When this site and a number of other Liverpool FC fan sites ran a poll to find out the thoughts of fans about the future of Roy Hodgson it wasn’t a surprise to see the “winner” of the poll was “sack Roy immediately”. What was surprising was how few supporters felt the club should at least wait. Reasons for waiting crop up from time to time in conversation and are often well argued. Yet just 3% of supporters in the poll said no to sacking Roy on the spot. The sample was pretty significant, almost 5000 votes were received, and an overwhelming majority – 95% – of supporters were in favour of Roy being told to gather his belongings and get into a car to be chauffeured away from Melwood as soon as possible. 2% were undecided. What must also be pointed out is that the 3% who voted “no” weren’t necessarily voting in favour of keeping Roy on a long-term basis. Very few supporters seem to be fully supportive of Roy; it’s a position rarely heard in conversations between supporters. 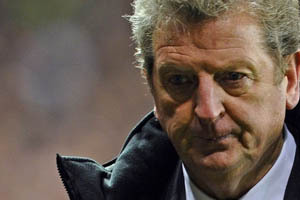 It could be argued that those in support of Hodgson would feel a little uncomfortable about standing out and backing the manager against such overwhelming opposition – this poll gave them the opportunity to quietly show that support. Nobody was looking over their shoulder as they put their mark in the box for the poll; it gave fans a chance to ignore any kind of peer pressure and go with what they truly felt was right. But many of those who say, in conversations, that they don’t want Roy sacked on the spot are not saying they want him here next season. They still want him sacked – just not at this exact moment. Much, much better from Liverpool, this scoreline didn’t flatter and Liverpool thoroughly deserved their win. It would be easy to find elements to criticise Liverpool for today, to mention how different it might have been had certain incidents gone a different way – but it’s far better to concentrate on the positives. Lucas Leiva was the man of the match, but he had some stiff competition from the scorer of both goals, Fernando Torres. Pepe Reina was as busy in the second half as Torres was in the first and he’ll be as delighted with the clean sheet as Torres will be with his brace. Meireles, Gerrard and Kelly all played far better today than most of the side have played in any game this season; Dirk Kuyt came back from injury like he’d never been away.